PHOTO: Mary E. Carter Norma is a journalist and lecturer who has been collecting women's stories for more than twenty years. Her areas of concentration are crypto-Jews and Conversos, Chinese women writers of Nu Shu, and diaries of women pioneers. She has published more than 500 articles in newspapers nationwide on many topics, and has also written for textbook publishers and newsletters. Currently Norma lectures for OASIS and OSHER, older adult education programs, leads writing workshops, and lectures around the country about crypto-Jews. Norma has degrees in education and literature from Northeastern Illinois University in Chicago. She has taught writing, literature and humanities at universities and colleges in Illinois and New Mexico, and has written The Memoir Writing Workbook for use in her writing workshops. She is the author of the award-winning novel Lonely River Village. Lonely River Village - A Novel of Secret Stories Click here for more information Click here to read the first chapter. Why Write the Story of Your Life? Norma is a journalist and lecturer who has been collecting women's stories for more than twenty years. Her areas of concentration are crypto-Jews and Conversos, Chinese women writers of Nu Shu, and diaries of women pioneers. She has published more than 500 articles in newspapers nationwide on many topics, and has also written for textbook publishers and newsletters. Currently Norma lectures for OASIS and OSHER, older adult education programs, leads writing workshops, and lectures around the country about crypto-Jews. Norma has degrees in education and literature from Northeastern Illinois University in Chicago. 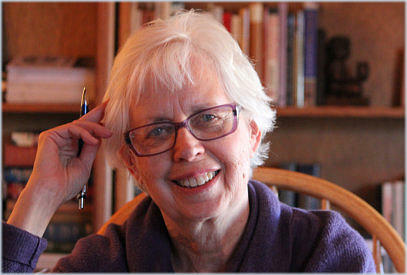 She has taught writing, literature and humanities at universities and colleges in Illinois and New Mexico, and has written The Memoir Writing Workbook for use in her writing workshops. She is the author of the award-winning novel Lonely River Village.